Recording of 'Taking The Bite Out of JAWS Testing' Webinar Now Available! 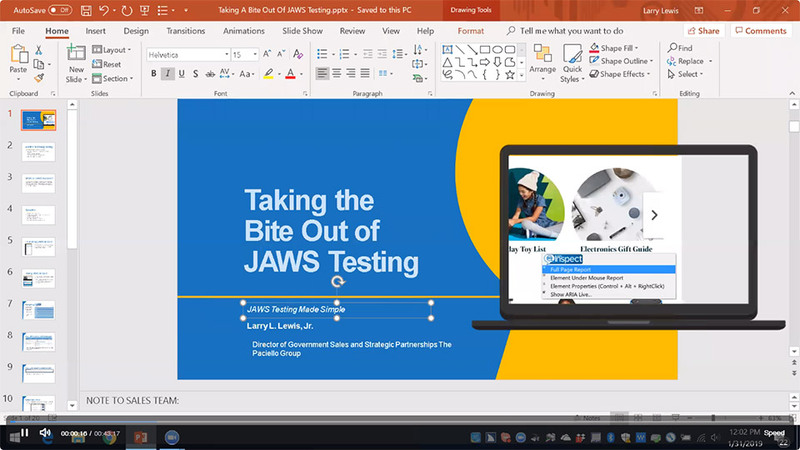 If you missed last week's webinar conducted by Larry Lewis: "Taking The Bite Out Of JAWS Testing", never fear! We've got you covered. A recording of the webinar along with accompanying slide deck for the presentation can be found at the link below! We had close to 200 participants in attendance last week. If you were one of those who attended this webinar, we'd like to express our thanks to you for taking time out of your busy schedule to attend. Introducing Your One-Stop Shop for All of Your Accessibility Consulting and Training Needs! Struggling to manage the adverse risk posed to your organization by the deployment of inaccessible content? Seeking guidance on building accessibility best practices into your development cycle? We offer a comprehensive range of services to address your accessibility needs - from accessibility testing of your websites, web applications and mobile apps to identify accessibility issues and assist in their repair, to conducting research and usability testing to share insights into how people with disabilities experience your products, to providing strategic guidance or accessibility training to help you build accessibility capacity within your organization. When it comes to accessibility, we have the expertise to help you succeed on countless fronts! Comprehensive Audit: The best way to gain a thorough understanding of the accessibility level of your website, web application or native app. UX Services: Offers an opportunity to discover how people with disabilities and people who use assistive technologies engage with your brand. Training: Our onsite or virtual Training options are an effective way to embed accessibility knowledge within your team. Help Desk: Our Help Desk Services provides ongoing accessibility support for your team via a ticket-based system that makes it easy for stakeholders to ask questions and get responses back with quick turnaround. Strategy & Program Development: Our Strategy & Program Development services offer the expertise to perform strategic consulting on accessibility processes or to help you develop your Accessibility Program so that accessibility is being addressed across systems, processes, and people within your organization. For more information, or to ask questions not answered here, please email accessibility@flying-blind.com ✉ or call +1 (216) 381-8107 ☎ today. We're standing by to assist! If you are employed by, or lead an Organization committed to providing manual, accessibility test services for web content using the JAWS screenreader, but your testing and developer teams have individuals who are not JAWS users, then the newly released JAWS Inspect Solution is your missing ingredient for optimizing your test processes while maximizing your accessibility efforts. This one of a kind testing tool vastly simplifies accessibility and JAWS compatibility testing, while removing complex feature sets of the end-user. With its newly released "say all" feature and "speech viewer", this tool now offers visual functionality beyond the scope of web testing! Imagine being able to view what JAWS is speaking to the end user across countless applications? JAWS Inspect uses transcripts of JAWS output to quickly diagnose issues and share them easily across quality control and compliance systems, providing a visual representation of the user experience to the sighted developer. For more information, or to schedule a demonstration for you and your organization, please email accessibility@flying-blind.com ✉ or call +1 (216) 381-8107 ☎ today. We're standing by to assist you in simplifying your web accessibility test process. Whether you are a novice to accessibility or a seasoned pro, sometimes your best start to accessibility is to let technology do some of the heavy lifting. Designers, developers and testers dealing with an accessibility project or program are looking for ways to inform their team quickly about what's inaccessible within their digital content and get rapid insight as to how to fix it. There's a more optimal way to achieve accessibility compliance in a timely, responsive, and cost-effective manner using Accessibility Resource Center (ARC). Includes next generation automated testing know-how, ARC looks for machine-detectable accessibility defects within digital content. Designed for rapid scanning of a web domain, ARC will crawl through your website identifying accessibility violations against common standards, including WCAG 2.0 A/AA or Section 508. ARC is powerful, customizable, and affordable. It transforms scanned data into meaningful, actionable insight, and is an excellent means of managing the profound risks that inaccessible content poses to an organization. For more information, or to schedule your online demonstration, contact accessibility@flying-blind.com, or call +1 (216) 381-8107 ☎ today. Don't be caught off-guard by the potentially devastating legal consequences of deploying inaccessible, digital content! We're standing by to assist! Have you been directed to make a website or mobile app 'accessible', but have no idea where to begin? Or perhaps you know a bit about accessibility and really want to immerse yourself in the field, but you can't afford to have you or your team out for multiple days in an onsite class. With rich content available in an easy to use, on-demand format, TPG Tutor is here to help your organization tackle the field of accessibility in a scalable and responsive manner. Whether you're new to accessibility or a seasoned veteran, it's valuable to have reliable, structured training materials that you can access at your own pace. TPG Tutor is an affordable and effective means to train yourself or your staff in accessibility. Choose from a wide array of courses that provide an introduction to accessibility all the way through to deep-dive development techniques. Purchase one course, two courses, or the entire library of courses for as many or as few users as you require. TPG Tutor is self-paced, easy to use, and available on the Arc platform, or optionally priced for use in your own LMS. For more information, email accessibility@flying-blind.com or call +1 (216) 381-8107 ☎ today. We're standing by to assist. Feel free to check out the YouTube video below for additional details! Greetings to all! I trust this message finds you well, and that our friends in the Northern Hemisphere are gearing up for Summertime, my favorite season of the four! Over the past 12+ years, we at Flying Blind, LLC have been fortunate to have worked with a number of fantastic organizations and end users. We've participated in countless projects with the end goal of empowering as many persons as possible by assisting them in selecting appropriate technologies at prices that they can afford as well as shaping how they utilize these technologies within desktop and mobile environments - independence and efficiency has been at the heart of what we do. More recently, we've begun to expand the scope of Flying Blind, LLC beyond the realm of assistive technologies, and have shifted our focus to more of an "accessibility" mindset - working with organizations committing to ensuring that electronic information is developed in an accessible and responsive manner. After all, without content that adheres to accessibility guidelines, the advancement of assistive technologies are somewhat irrelevant. A few weeks ago, I was presented with a tremendous opportunity by The Paciello Group, an organization which, in my humble opinion, is the "Gold Standard" for deploying accessibility tools and services across Federal, State, and private sectors. I've been invited to join this dynamic group of professionals as a full-time employee, and as of June 1st 2018 I've begun my role as Director of Channel Sales and Strategic Partnerships. When one seizes new opportunities, more often than not, he must let current ones go. To that end, I'll be stepping back from Flying Blind, LLC to devote my focus to contributing to Paciello Group's collective accessibility effort. It's a bitter-sweet decision, but a decision that I am at peace with. Effective immediately, Flying Blind, LLC is no longer distributing its varying lines of refreshable Braille displays. We do have a few remaining used items in the "Sale" section of our online Store, along with an assortment of daily living aids. We hope to clear these sale items by June 30th 2018. I am also redirecting a number of accessibility-based trainings and presentations to my new employer. You'll still get the same "Larry"-style service, along with the same Larry-smile! But with a different W-9 attached to the preliminary paperwork. We're currently sorting out proceeding with the weekly newsletter, which is being pre-empted this week. We are both humbled and honored that so many people continue to contribute to, receive, and read it, and we are exploring ways to keep it rolling with less personal involvement by me. We intend to carry on with the weekly publication in the short-term, as we sort out the particulars for the coming months. I want to personally thank each and every one of you for bringing out the best of Larry, the person, over the past 12 years. You have all helped me to grow professionally and personally in countless ways. I'm very much looking forward to serving many of you in my new capacity with The Paciello Group. If you're curious as to the types of tools and services we offer, please feel free to reach out by email at accessibility@flying-blind.com. In closing, thanks so much for taking the time to read this news. It was difficult to write, but necessary, and I'm blessed to be stepping away from Flying Blind, LLC on my terms. Wishing all of you a blessed month of June, and a safe and enjoyable Summer! We at Flying Blind, LLC are most pleased to provide a fantastic bargain on One Hardly Used Vario Ultra 40 Cell Notetaker. This unit has only been used a few times; is in pristine condition; and is in need of a good home. With shipping included within the 48 Continental United States you will shave over $1,100.00 USD off of the retail price of this gem! So give your fingers a Spring-time treat with a sleek, powerful, versatile solution that will provide uses for every occasion! This is a single unit that will be sold on a first come, first serve basis. To be the first to secure this unit, please use the Buy Now link or Add to Cart button included below. For more information, or to order this product offline, email featured@flying-blind.com or call +1 (216) 381-8107 today. We're standing by to assist. Now that we're off and running in 2018, we would like to take a moment while you are in the throes of planning your State, Regional, and National Conferences, to remind you that Flying Blind, LLC stands ready, willing, and able to meet your Keynote Speaking, General Session, Break-Out Session, and Assistive Technology and accessibility Workshop needs. With over 40 years of personal, and 25 years of professional experience in the Industry, Flying Blind, LLC's Founder, Larry Lewis, enjoys presenting on a number of topics specific to integrating a variety of desktop and mobile assistive technologies into educational, vocational, and community settings, providing guidance on how to best leverage the power and versatility that many accessibility solutions have to offer. He is more than pleased to customize any presentation to ensure that it is specific to the implementation of solutions deemed appropriate in promoting both independence and efficiency. In addition to providing a wealth of information to diverse audiences, Larry likes to keep the tone of each presentation upbeat, informative, and above all, entertaining! For more information, to request references, or to explore scheduling options, please email speaking@flying-blind.com or call +1 (216) 381-8107 today. We're standing by to assist! 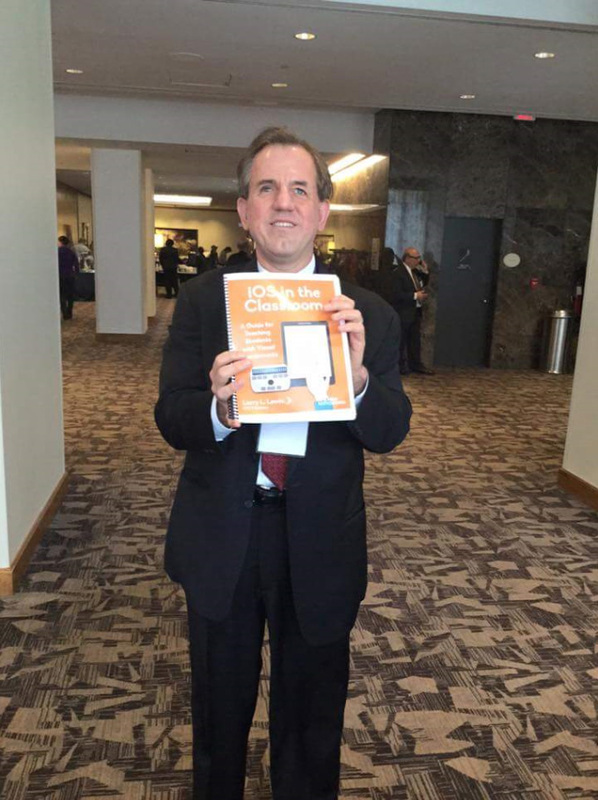 Presenting "The Why, When, and How for Reading eBooks", the 2nd Webinar in the series based on the recently published book "iOS in the Classroom: A Guide for Teaching Students with Visual Impairments" by Larry L. Lewis, Jr. Price = $49.00 USD! 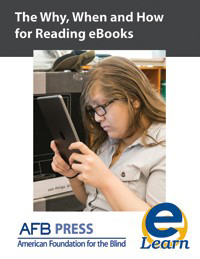 Learn about the 4 different types of tools available for readers who are blind or visually impaired to access books using Braille and/or speech, and how to develop a game plan for students to effectively read eBooks using the appropriate combination of these four tools. Get the "Why", "When", and "How" by visiting the link below! Select the checkbox and receive a 15% discount off the purchase of the book, "iOS In The Classroom"! Are you ... Serving students and consumers who must use cloud-based Apps to complete classroom and/or employment specific tasks? Are You ... Struggling to comprehend precisely what cloud computing is? Are You ... 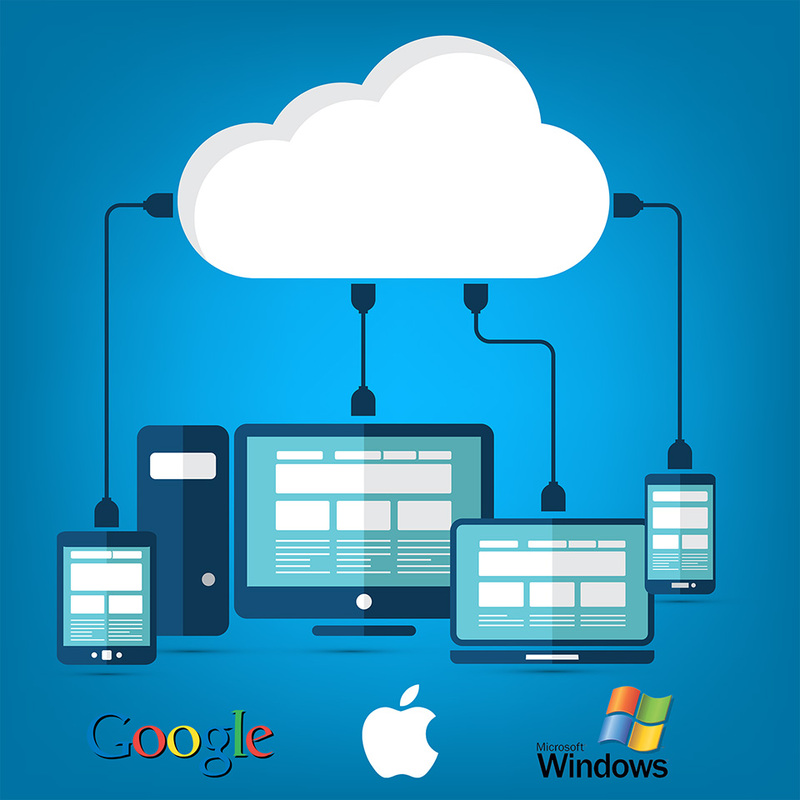 Trying to figure out what opportunities cloud computing offers? Are You ... Trying to figure out what potential challenges cloud computing presents? Are You ... Uncertain as to which assistive technologies are best for interacting with The Cloud? Are You ... Uncertain as to when you should introduce them? If you answered "Yes" to any of these questions, then The OWAC Professional Development Workshop was designed for you. Defines "The Cloud" in easy to understand terminology, using easy to understand analogies. Describes the relationship Apps have with The Cloud, for Apps designed to operate within a cloud. 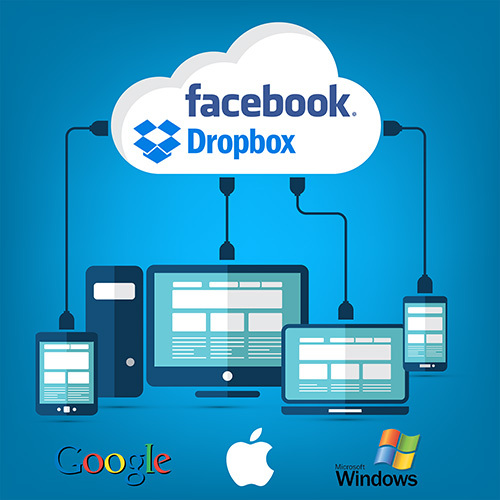 Defines mobile and desktop platforms for interacting with these Apps. 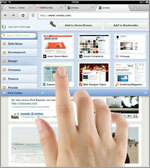 Provides strategies for "searching", "storing", and "syncing" information. And provides strategies for "sharing", and "socializing" with sighted peers! The OWAC Professional Development Workshop marries decades of assistive technology know-how with the fast-paced expectations of a predominantly sighted world. Has 40 years of assistive technology experience. Has served the assistive technology industry for nearly a quarter century. Offers practical guidance for overcoming expectations set by sighted managers and fellow business associates. Embraces evolving technological trends while they are unfolding. For onsite presentations The OWAC Professional Development Workshop is a one day workshop designed for groups of 20-30 educators and/or rehabilitation professionals. For remote presentations, The OWAC Professional Development Workshop is scalable to one half day virtual sessions for larger groups, as this format requires less hands-on training of assistive technologies. Virtual sessions require an internet connection and a means of connecting and projecting via a Skype video call. The same content is covered within both the onsite and remote deliveries of The OWAC Professional Development Workshop. OWAC Onsite = $1,000.00 USD + Pre-approved travel expenses. For questions or to schedule your OWAC Professional Development Workshop, email training@flying-blind.com or call +1 (216) 381-8107 today! View this brochure in PDF format here. 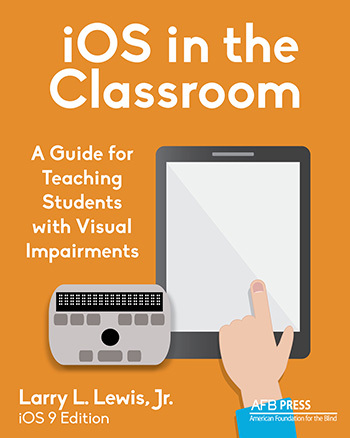 This book represents a 'must have' for any direct service provider working with vision impaired consumers who are using iOS technology within their educational or pre-vocational settings. This organized, illustrated, and easy-to-read guide explores the extensive accessibility options available in iOS, where to find them, and how to configure them. 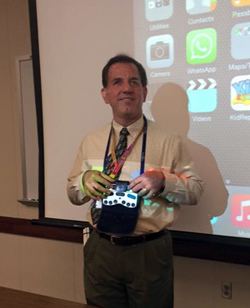 'iOS in the Classroom' was created with the goal of allowing students with visual impairments to use an iPad to complete the same classroom activities as their sighted peers. The book discusses a variety of tasks and features that promote both efficiency and independence. Available now. Order your copy in your preferred book format, paperback, online, e-book (ePUB format), or e-book (Kindle Format) by visiting the order link below. 'I am both honored and humbled to have such a globally acclaimed partner in AFB Press, the Publisher of this book. 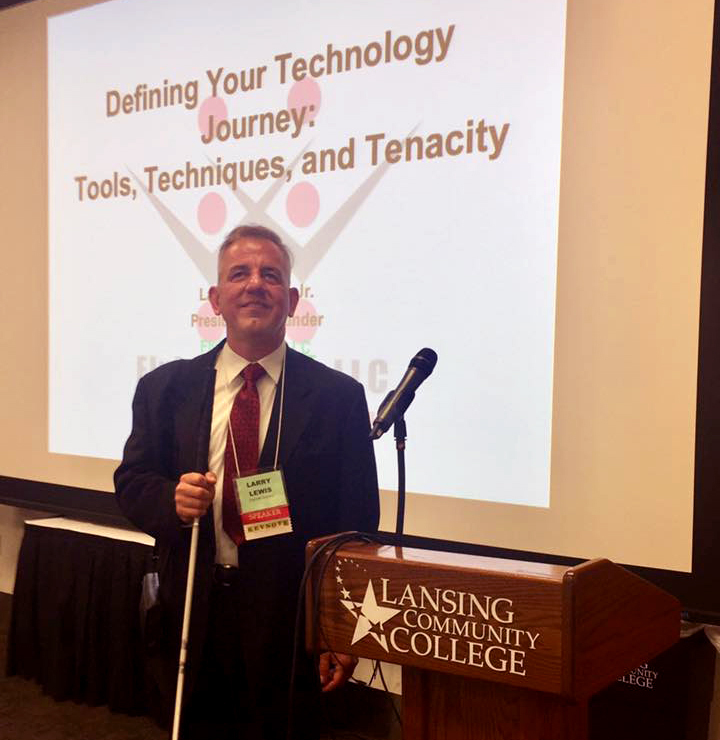 This organization's commitment to leveraging technological know-how to provide equality within the classroom and workplace for vision impaired students mirrors my own personal passion for unleashing the very opportunities that such technologies provide to those of us who truly benefit from these solutions!" - Larry L. Lewis, Jr., President, Flying Blind, LLC. Flying Blind, LLC is most pleased to have teamed up with its respected partner, American Foundation for the Blind E-Learning, to present the webinar: "iOS in the Classroom: iPad Learning Success for Students with Vision Loss". 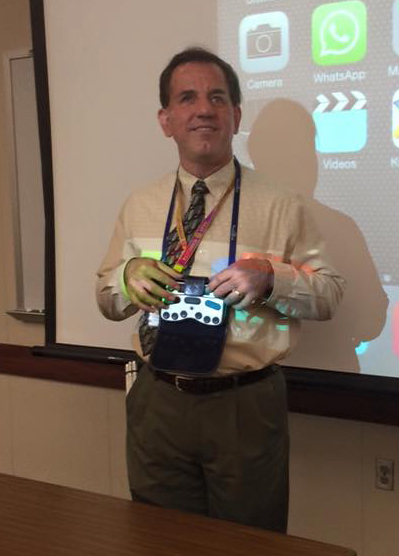 In this 85 minute presentation, Flying Blind, LLC's Founder, Larry Lewis walks educators and direct service providers of persons who are vision impaired through how to get the most out of their students' iOS devices for optimal learning in the classroom. It is both a privilege and an honor to collaborate with an industry leader like AFB on this effort and we're confident that you will find this presentation to be $49 well spent as a resource for you to kick off the school year. Professional Development Credit is available when participating in this webinar. Visit the link below for additional details and don't forget to purchase this invaluable presentation before enjoying the last official Holiday Weekend of the summer!!! Attention! We Have A Winner! BraillePenmanship Giveaway Essay Contest! Please feel free to read and share Caitlyn's contest-winning-essay in its entirety at: http://bit.ly/1Lq76WR. And stand by for an update and accompanying photo that will be posted to Flying Blind, LLC's Facebook Page sometime this summer letting us all know how Caitlyn is enjoying and using her new BraillePen Touch! If you are a manufacturer, authorized reseller, service agency, or responsible user wishing to find a new home for your currently under-utilized technology, in the hopes of netting some extra cash for the holidays, reducing your year-end inventory, or applying some of those monies toward a new technology solution, please call or email us, and let's explore your options. If you are a user wishing to save a little money and invest in some gently used technologies that have been fully inspected by Flying Blind LLC, we encourage you to contact us as well. 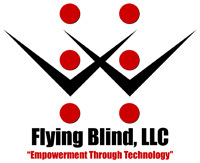 Flying Blind, LLC has an 8 year (and counting) proven track record for matching appropriate adaptive technologies with countless happy customers. We are able to accomplish this by taking into account today's economic climate and the ever-changing trends within the Adaptive Technology industry. To this end we are always updating our inventory, both online and off, and may have something waiting in the wings that just might meet your needs. Flying Blind, LLC is committed to ensuring that you receive the technology solution that is best suited for you at a price you can afford. For more information, or to begin the buying or selling process, email featured@flying-blind.com or call +1 (216) 381-8107 today! TypeAbility is a program that teaches the entire computer keyboard in 99 user-friendly lessons to aspiring computer keyboard users of all ages! By the end of the lessons, the student will have mastered all of the letters, numbers, and punctuation, as well as navigation and editing within dialog boxes and text documents. TypeAbility is great fun for all ages and is a fantastic asset for any school, rehabilitation training center, or for itinerant teachers who provide adaptive computer training. It's also a great teaching tool for individuals wishing to improve their typing skills! TypeAbility 4.1 for JAWS, is compatible with JAWS 8 and higher. Conveniently, you can use either a full version of JAWS, or the free JAWS demo. TypeAbility is also compatible with the screen magnification program MAGic. With MAGic, the partially sighted can not only listen to, but also see their typing lessons. TypeAbility for MAGic can be installed into MAGic 10.5 or MAGic 11. In that case, JAWS is not needed, because MAGic will provide both speech and magnification. Learning how to launch, run, choose lessons and tasks, and how to close TypeAbility is very simple. 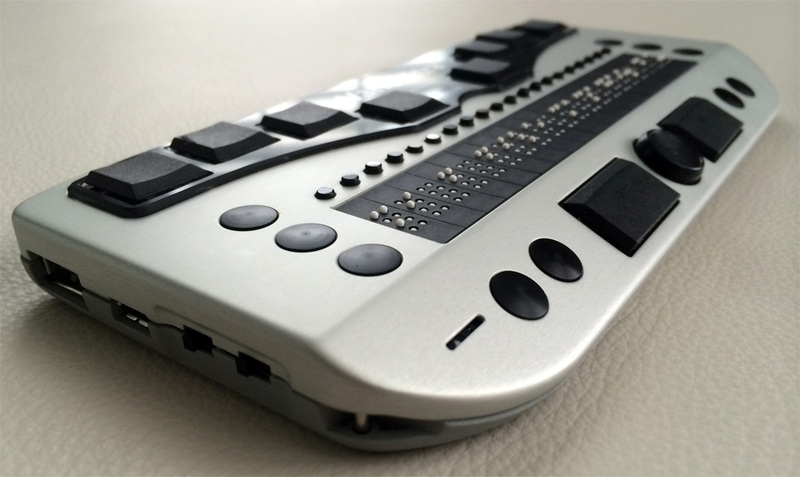 After a few lessons with an assistant, a blind non-typing child will be able to use the program independently. TypeAbility is fun and appropriate for students of all ages. There are User Preferences that allow TypeAbility to conform to each student's needs. However, there are not such a bewildering number of complex options that learning how to use TypeAbility would be a mystery or chore. It's a cinch! Though TypeAbility is very simple to use, it is both the most advanced typing program for the blind on the market, and also the most fun to use. TypeAbility offers support for one-handed typists and can be run on computers connected to a network. For an in-depth demonstration of this teaching tool in action visit the following link to watch and/or listen to Larry Lewis provide a comprehensive tour of TypeAbility: http://youtu.be/0I2fT5D_5AI. So why not take TypeAbility for a test drive? Download either TypeAbility for JAWS or TypeAbility for Magic using the links below, use the software up to 15 times and decide for yourself how useful it will be for you, your peers, and your consumers! To Download TypeAbility 4.3.5 for JAWS 13 through 18 or ZoomText Fusion, click this link. 15 free openings. If you are an educator of vision impaired students or a professional who makes decisions regarding the technological journey of a vision impaired student, then the Apple Accessibility Initiative (AAI) is for you. Are you excited about receiving iPads for your students but not sure what access features are available to ensure your students are independent, efficient, and on an equal playing field with their sighted peers? Would you like to know which iOS apps can make your students more proficient in a post-secondary education or competitive job market? The Flying Blind, LLC AAI Professional Development Seminar can provide you with all of this, and much more. This Professional Development Seminar was designed for educators who have either received or are receiving portable iOS devices such as iPads, iPods, or iPhones which are to be used by their students. Introduce you to all of the built-in low vision options available within these devices. Unveil the robust screenreading access for speech users integrated into these devices. Showcase QWERTY on-screen and wireless keyboard options for navigation and data entry. 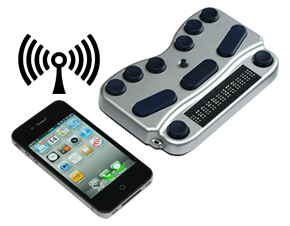 Illustrate how refreshable Braille I/O transforms these devices into a "Portable Information Management System". Search for and browse pertinent information. Manage and share information with others. And explore a variety of games to play. The AAI Professional Development Seminar is available in two different formats based on your specific needs and budget. The AAI Professional Development Seminar may be administered live and in person, or remotely via the internet. Flying Blind, LLC will work with you, your staff, or any other governing authority to make certain the completion of the AAI Professional Development Seminar provides CEU eligibility for all participants. The standard AAI Professional Development Seminar is designed to accommodate 20 educators per seminar, though it can be scaled to meet the needs of any number of participants. Please contact us for additional information on larger groups. The cost for the live and in person version of the AAI Professional Development Seminar is $1,000.00 USD plus all pertinent travel expenses for Mr. Larry Lewis, Flying Blind, LLC's Founder, and the instructor who will be personally conducting each live and in-person seminar. The online version, which is also conducted by Mr. Lewis, is divided into three modules, with each module lasting approximately 1.5 to 2 hours. The cost of each module is $400.00 USD per module, if purchased separately, or $1,000.00 USD if all three modules are purchased at once. These modules may then be scheduled to be conducted on three separate agreed upon days, or throughout the span of a single day, based on the preferences of your educators. Flying Blind, LLC is keenly aware of today's economic climate, and we believe that by offering the AAI Professional Development Seminar in its current, comprehensive, and field-tested form, we will save you far more time, energy, and money than if you were to attempt to integrate these solutions without the proven resources and field tested information that we have built into this seminar. For more information please contact us today at aai@flying-blind.com or give us a call at +1 (216) 381-8107. To download this brochure in PDF format you may click on or forward the following link: http://www.flying-blind.com/documents/fbllc-aai-brochure.pdf. For those of you wishing to receive new Flying Blind, LLC Publications automatically via RSS Feed (including Top Tech Tidbits for Thursday) you may use the following link (or feed) which will be updated (or syndicated) with the release of each new Flying Blind, LLC Publication: www.flying-blind.com/feed.xml. RSS is an automatic content syndication technology which uses a standard informational format (XML) that is easily recognizable to a variety of software applications called RSS Readers (or Aggregators). A user may subscribe to an RSS feed by entering its address (www.flying-blind.com/feed.xml) into their reader of choice to initiate the subscription process. The RSS reader then checks the user's subscribed feeds regularly for any updates and provides a user interface to monitor and read these feeds. It is our hope that this additional distribution channel will help our readers to get the Adaptive Technology information they need, when they need it. Flying Blind, LLC. Empowerment Through Technology.